There is nothing more personal than a person’s bedroom. Our bedrooms are the places we start our day and end our day. The places we try to relax at the end of the day and rest our weary bodies. Over the years we can spend a lot of time in our bedrooms, so it makes sense to invest some time making your bedroom special to the individual. That goes for every member of the family. Your bedroom can be a place to find calm, to be inspired, to be reminded of good times, to remind yourself of your achievements and to express your personality. You can get away with being as bold as you like in your bedroom. It’s YOUR bedroom, your special place away from the world and if you want it pink with green spots you go for it! We can get caught up on what blends in with the rest of the house and what other people think, but bedrooms are not communal spaces or places you invite many visitors to your home so go with what you want. We’ve recently painted a black ceiling in one of the rooms at our house after a request from one of the children and it looks great! 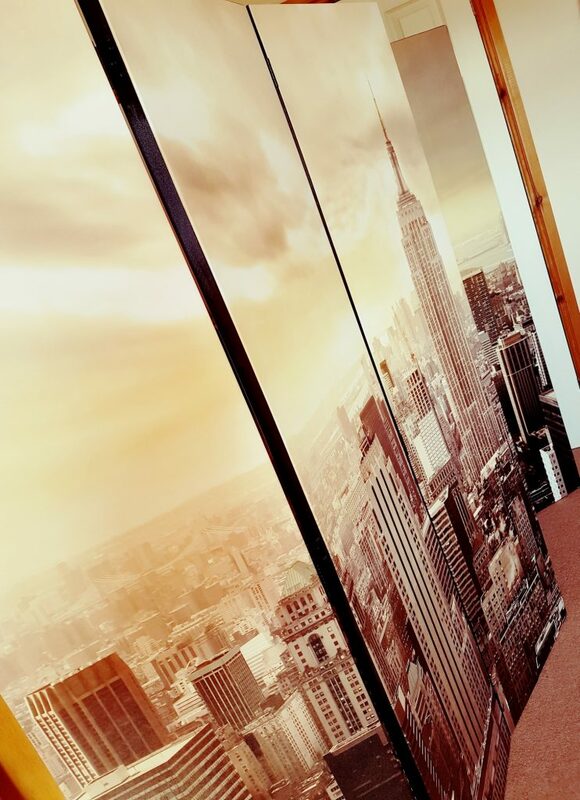 If you have photos that you really want up on your walls but you don’t necessarily want everyone who steps into your home looking at them, then a bedroom might be the perfect location. This is also a really nice way of personalising the room, and being reminded of special moments when you wake up and go to sleep. Your choice of bedding can be a great way of personalising your bedroom. Often with the children their bedding has been their favourite character at the time or something they are especially into. You might be musical and have music note bedding, or you might live with a Paw Patrol fan, or maybe someone is a supporter of a particular football team? All of these things can bought as bedding sets these days, and they can really add personality to a room. Personalised items in bedrooms really add that special touch. Perhaps you have casts of your children’s baby feet you can display, or baby hand prints? Perhaps there have been sporting achievements in the family and there are medals and certificates to display? Perhaps you have a very precious photograph that you’d like on a cushion, or blanket throw for the bed even? 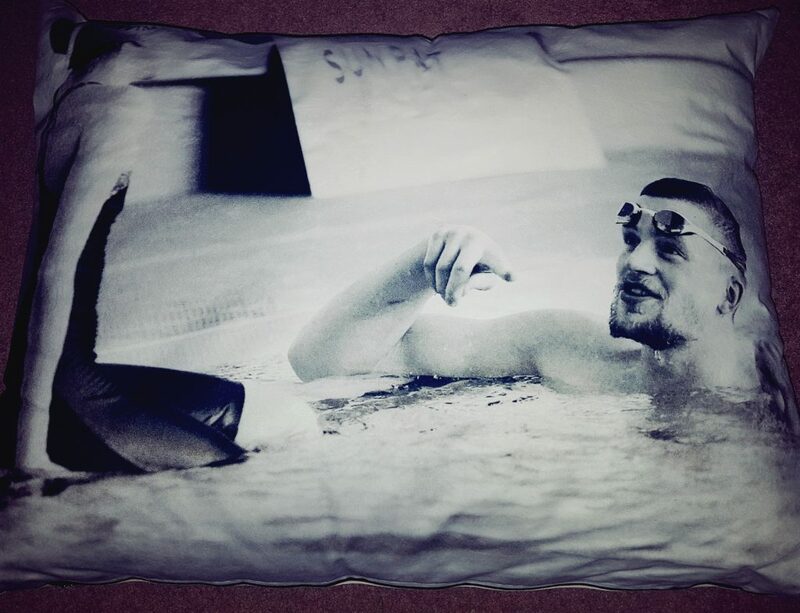 I’ve recently had a floor cushion printed for my daughter with a photograph of her with the Olympic Gold Medallist Adam Peaty. Bags of Love have a huge range of products that you can add an image to and personalise in your own special way. This cushion is a lovely quality and the print quality is excellent too. They have a really special competition running at the moment for Father’s Day, where there are £600 worth of prizes. If you want to have a go, enter the competition here. To enter the Father’s Day Design Contest, simply follow these steps: Create a design for your Father’s Wallet; enter a photo of your Dad, your child’s Dad, Granddad, Stepdad or man that’s been like a father to you to win! ; upload your design. You can add a message or funny joke to make it even more special. Then save your design and enter it into the competition. Easy peasy! Share your wallet design with all your friends and family and get your votes for “Most Voted Wallet Design” in until Sunday, 11th June! Do you have a special quote? Perhaps a favourite quote that inspires you, or that you try to live by? These days you can get all of these printed as removable wall art and they can really make a room. How have you gone about personalising your bedroom and they rest of the family’s bedrooms?